Our students at IVLA represent such a great variety of skills, talents, and interests. We have athletes, actors, world travelers – just to name a few. 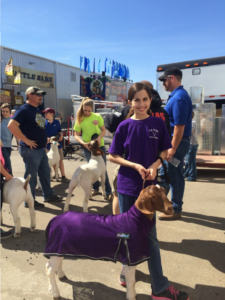 Meet Kyrene and Kaylee, two IVLA students with a unique hobby – goats! Tell us a little about this interesting pursuit. My dad is a goat breeder and my brother, sister, and I show goats year round. We travel to many places and compete. We earn money and scholarships for college. 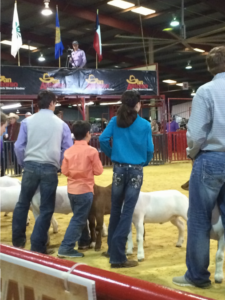 What is it like to show goats? We have met many people and made a lot of friends through showing. We consider them our show family. 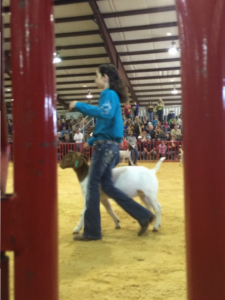 Showing goats and requires hard work and dedication but it is also a lot of fun. We spend a lot of time together as a family. We show in the major shows in Dallas, Fort Worth, San Antonio, Houston, and Austin. We also show in our own county and other smaller shows. One year we showed in Arizona and we hope to show in Colorado next year. What do you like best about showing goats? Goats are playful and fun, and each have a different personality. 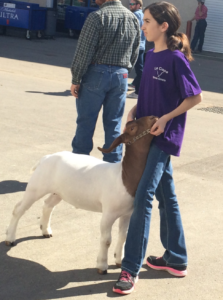 Every year we make new friends, get new goats, and have fun! Why did you choose IVLA? Attending IVLA makes it much easier for us to travel and for competition. Thank you, Kyrene and Kaylee, for sharing! All the best in your next competition!